As a coach, consultant or any type of small business owner speaking engagements are an excellent way to demonstrate your expertise and find potential clients at business events. As someone who has spoken before audiences of various sizes, I can attest that speaking is an excellent way to connect with your ideal clients. Through various speaking engagements, I’ve had the opportunity to connect with and eventually work with wonderful clients and met some great business contacts. If you have been in business for some time doing meticulous research on potential organizations and connecting with hosts responsible for booking engagements is stock in trade. If you are new in business or not comfortable with public speaking; however, finding opportunities to speak can be more challenging. Whether you are new or more experienced having resources that can help you find speaking engagements and help you craft your offers will help you connect with your ideal clients. That is why I’m so excited to share two resources from the Queen of Sales Conversion Lisa Sasevich with you. Having been a student of Lisa’s, I can attest that her methodology works! That is why I am so excited to share with you two excellent resources from her to help you find and connect with your ideal clients. Happy Speaking and Connecting with Your Ideal Clients! If this sentiment applies to you, don’t worry. I have worked with hundreds of entrepreneurs and I can tell you with absolute certainty, you already have everything you need to overcome your fear of public speaking. The first thing I want you to know about public speaking is that it is not a unique talent. It is a skill that you can learn, and master with practice. Think of the best speaker you’ve ever seen. They were not always that good. They struggled, they learned, they honed their craft. They become a great speaker. They weren’t born that way. In fact, when they were born, I can assure you they couldn’t speak at all. If you truly want to overcome your fear of speaking, you can. And these tips will help you do it. You don’t have to give your first speech as the commencement address at your Alma Mater or as the keynote speaker at a large conference. When you are talking about your business or your passion to a group that wants to hear what you have to say, you are SPEAKING. This speaking can take place in your living room with five people, on a conference call, as part of a group meeting, or online through a webinar. Starting in one of these environments, whichever one makes you feel the most at ease, is a great first step to overcoming your fear. Overcoming your fear of public speaking is not about convincing yourself of an alternate reality. You don’t need to picture the audience in their underwear or visualize yourself on stage as the confident speaker you one day will be. Becoming a confident speaker is all about your message, and your message is already in you. It is your truth. But you convey so much more than your words when you are speaking. Your body language is key. By learning and using body language that projects comfort and confidence to your audience, you can start to feel that confidence grow in you. Your confidence can come, at least in part, from the outside in. I’m usually not one to use a sports analogy, but my marketing director told me that basketball coach Bob Knight once said, “The key is not the will to win. Everybody has that. It’s the will to prepare to win that’s important.” And that seemed kind of perfect to me. You see, the same is true of public speaking. Wanting to be a great public speaker isn’t enough. It’s really all about the preparation. But how do you prepare? First, know your audience and craft your message to them. Speak in a way that is comfortable and natural for you, but in a language they can understand, and make sure you are addressing their needs and not just your own. If your message is clear and it resonates with them, you will feel that as you speak and it will make you more confident and comfortable. Second, anticipate resistance and prepare to meet it. Find the most likely objections to your message and know how you are going to answer those objections. Meeting obstacles you didn’t expect is nerve-wracking, but if you’ve anticipated the obstacle, encountering it can be comforting and reinforces your total mastery of what you are presenting. Third, focus on how great your talk is, not how long your talk is. Everyone in your audience would prefer an excellent 45-minutes to a mediocre 90-minutes. They would also prefer an excellent 90-minutes to a mediocre 45-minutes. It’s not about the length, it’s about the quality. Every time. In addition – and I can’t emphasize this enough – practice. Practice in front of a mirror, or on video, or with a colleague who can give you feedback. This can be really helpful in identifying all the ways you are communicating when you speak; your tone of voice, body language, facial expressions, hand gestures, ums, uhs, crutch words, or jargon. All of these are more easily identified and improved upon with an outside point of view. And finally, know your space. By arriving early and getting comfortable in the room you remove an unknown, which will make you feel much more at ease. Take some time in the room before the crowd arrives to just be in the space, to breathe in the space. This will help to prepare your body and mind since you’ve already prepared your presentation. Taking the time to take care of yourself is crucial to both the health of your business and to your quality of life but it’s especially important for overcoming your fear of public speaking. It’s very hard to master something new when you are feeling tired, irritable, stressed, or forgetful. You’ve done the work of preparing your presentation. You are the expert in the room and are the only one who can deliver your message. Now take some time to relax and feel refreshed so you can do your best. You’ve taken care of the work, now take care of you. And after it’s done, take some time to reflect. Muscles are built in the rest time after the workout. The same is true for learning from what you’ve done. In quiet reflection after a presentation is when you learn the lessons of that experience. Remember that what you are offering when you speak is yourself. You are giving your audience the gift of your experience and perspective. They want the real you! Which is great, since there’s no one else you’re more prepared to be. You’ve been you for a long time! Bring your authentic self and let your personality shine through. There are two ways that speakers tend to short-circuit their own authenticity. First, by trying to wing it. Gaining speaking confidence is all about being prepared and the more prepared you are to deliver the content of your speech, the more your true personality can shine through. Second, by over-scripting what you’re going to say. The pendulum swings both ways – creating rigidity and over-scripting makes it easier to get thrown off if someone asks a question you were going to talk about later, or you understand that the room isn’t responding to something, or if the projector breaks or the mic goes out. Know your content and be comfortable with your delivery, but avoid getting locked into reading off a prepared script. There. Good. If you speak long enough something will go wrong. It’s ok. It happens to all of us. Take some time in your preparation to think through how you’ll respond if something doesn’t go as planned. If you’ve thought about it already it will be less of a surprise if it happens. The important part isn’t that something went wrong, the important part is how you respond. Here are a few things you can do to master your response. Don’t take it personally. The laptop going out isn’t the will of the universe directed at your presentation. Keep cool. Breathe. You know what you’re going say and you know it’s worth hearing. This won’t derail you. You’ve got this! Find the humor in the situation. Your audience is going to feel bad for you when something goes wrong. They’ll tense up on your behalf. If you can relax into it, find the humor and keep it light, they will feed off your positive energy and you’ll all ride the storm out. Stick to your plan. You’ve prepared for this presentation. You know your stuff. You know it will work the way you’ve planned it. Do what you had already planned to do and you’ll be just fine. If you enjoyed this content, Lisa Sasevich is releasing a complimentary online training series chocked full of resources like this designed to support you on your business building journey. Check it out here. You have something to say that no one else can. Too much to read? Not enough time? I think that all of us at one time or another have become overwhelmed by the amount of reading that we have to do. Reading is one of my passions and something that I enjoy immensely on a daily basis. I love to read fiction books and literature for the sheer joy of good storytelling. For professional reasons, like many of you, I must keep up with the latest developments in my profession. Reading for business and for professional reasons is a necessity is today’s highly competitive environment. The ability to read effectively for both comprehension and for speed is a highly valuable skill. Throughout the years, I’ve taken several speed reading fundamental courses that have helped me to keep up with my vast amount of personal and professional reading. 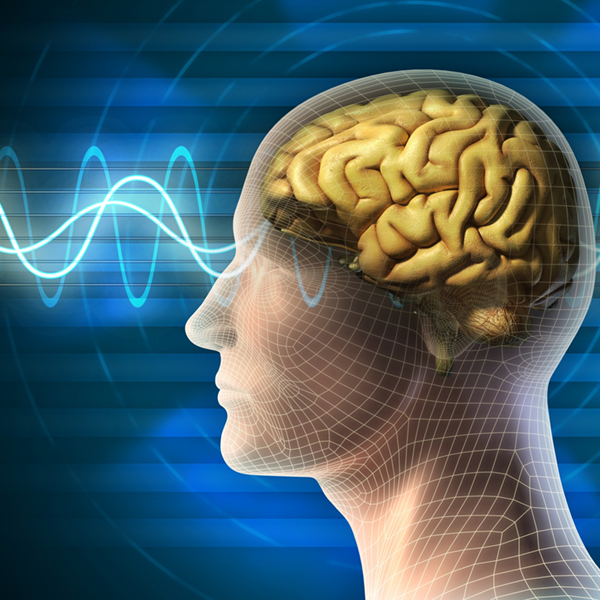 I believe a speed reading course can help you to increase your productivity also. The Speed Reading Foundation Course by Iris Reading can help you to increase your overall reading speed and comprehension. 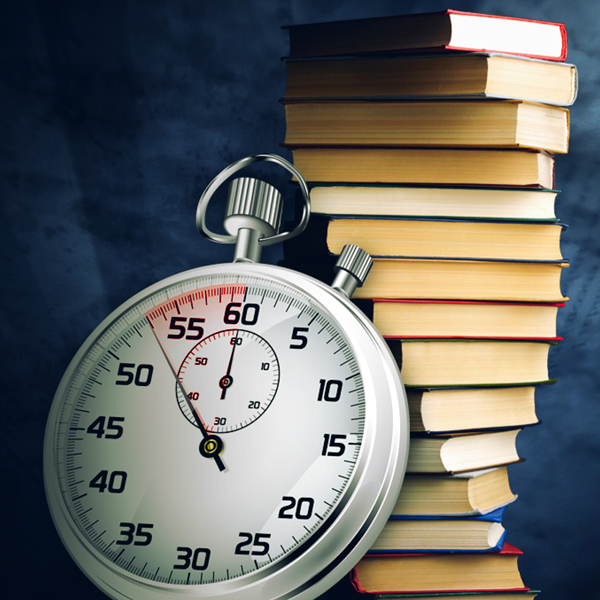 This course will help you increase your reading speed so that you can read more in less time. You’ll also learn practical strategies to enhance your comprehension so you can remember more of what you read. This course is ideal for students, professionals and lifelong learners. Do you have trouble remembering what you read? The Advanced Comprehension and Memory Course will help you improve these important capabilities. This online course is conducted by Iris Reading. This course will help you improve your memory by teaching you useful strategies to comprehend your reading, understand it better and remember it longer. Whether you’re trying to remember what you just read, passwords, birthdays, or to-do’s, this course will provide you with the best available strategies for memory improvement. I hope all is well. It’s Deborah Austin here and I’m sharing information about a remarkable program with you. The Speak to Sell Virtual Bootcamp by Lisa Sasevich can help you package and monetize your expertise. As a heart-centered expert, professional or entrepreneur, I know that you have a dream in your heart to build a business or get your expertise known where you deeply serve people with your talents. You want to be able to make a difference in the world while making your passion profitable. Many people are “the best kept secret” as they don’t know where to begin to get their brilliance out into the world. If you’re like a lot of heart-centered entrepreneurs, professionals and experts, there may be a secret desire you’re still holding on to that if you keep doing awesome work, eventually someone will come along and “discover” you. The problem is that the odds are against you. So what happens is people let their dreams languish…..and even die. Some people give up on their dreams entirely and continue to live a mediocre life that they are not passionate about. I don’t want this to happen to you! The Speak to Sell Program is THE program that helped me to jump start my entrepreneurial journey teaching me how to package and monetize my expertise. I am starting to fulfill my dreams. What about you? Pre-Register for the Speak-to-Sell Virtual Bootcamp to be Ready When it Opens Once Again! The Speak to Sell program is helping me to connect with my ideal clients and obtain speaking engagements. I started as an entrepreneur from the ground up without a business background. My Honours BA university degree is in International Relations and the majority of my professional experience is in the public service. Now as a transformation expert, my mission is helping people develop powerful communication and leadership skills so that they can have the success that they deserve! I believe strongly in this program because it kick started my success journey that I’m sharing the benefits with you. Have you been waiting for years to step up and get started! Who are you waiting for permission or approval from to release your brilliance, serve people deeply and make a difference in the world. Start building your business today with the Speak to Sell Virtual Bootcamp Program. Get Your Expertise and Brilliance Out Into The World! Lisa Sasevich, the Queen of Sales Conversion is a world renowned sales expert, famous for her Speak to Sell Virtual Bootcamp Program. Through her programs, she has been helping people for years to package and monetize their expertise and has thousands of successful clients worldwide. Stay tuned for the Speak to Sell Registration When it Opens for a Limited Time! Speak to Sell Virtual Bootcamp Registration is Open for a Limited Time! But here’s some great news. You don’t have to wait anymore to be discovered! When you decide to crown yourself and assume the throne as the expert and industry leader that you were meant to be, everything changes. And if that makes sense to you and you’re ready to step up and assume the throne, this last video from Lisa Sasevich’s brand new training series will show you the exact steps to start now. In this video, Lisa is also opening up registration into her Speak-to-Sell Virtual Bootcamp. This is her highly sought-after training where she holds your hand as you craft an offer that is truly irresistible to your ideal clients and then a presentation, or what she calls a Speak-to-Sell Signature Talk, that leads seamlessly to your offer. When you invest in the program and use my registration link (send me the confirmation) as a special bonus, I will be offering you a special executive level coaching package that will compliment your Speak to Sell Talk. Having been through the program myself and used it successfully to acquire clients and obtain speaking engagements, I have a unique perspective that can help you. My expertise is helping people become powerful speakers. I’ve coached people from various backgrounds including: MBAs, PhDs, entrepreneurs, small business owners and professionals. Let’s together ensure that this year is your breakthrough and breakout year! Learn to Speak to Sell with Lisa Sasevich and Deborah Austin! Get a FREE associate level Women Speakers Association Membership Today! I can’t emphasize enough the power that community has for your career, profession or business. It’s what connects, empowers, and develops us. Community is what keeps us accountable and grounds us. As a woman professional, speaker or entrepreneur you are committed to excellence in all that you do. You know that support and community pays a huge part in your success. Most importantly, it opens doors that we never could have imagined. So what’s your community? Mine is the Women Speakers Association, a global network of women in over 120 countries across six continents. As a Premier Member of the Women’s Speaker Association, I can attest that I’ve received benefits that have helped me to grow personally and professionally. The resources were invaluable as I begun my speaking, training, coaching and consulting business a few months ago. It can be overwhelming when you start a new business and the Women Speakers Association has resources that can help. To join as an Associate Member today it is FREE! Join today and learn about the valuable resources. Your Premier Membership will more than pay for itself as you generate more leads, land more speaking gigs, boost your visibility and credibility, and sell more products and services. Register for this amazing community through the link below. Remember that your associate membership is FREE! In the book Influence:The Psychology of Persuasion, Robert Cialdini, PhD outlines the psychology of why people say yes. Cialdini is a professor of both psychology and marketing. In addition, he has his own consulting firm and is a sought after international speaker. The book was a culmination of research and essentially outlines for readers ways in which they can learn how to persuade effectively. The book examines how readers can use, “triggers” or “weapons of influence” to persuade people to take a certain course of action. The six psychological triggers outlined are universal principles that Cialdini’s research revealed. The six triggers are: reciprocity, commitment & consistency, liking, authority, social proof and scarcity. The book is a fascinating read and the examples used really emphasize why each of the principles are important. While published decades ago, the book is still influential and has been referenced numerous times both in psychology and in marketing circles. If you are interested in becoming more persuasive in your business or your personal life, pick up a copy today so that you can learn the psychology behind what it takes for people to say yes to you. We all know that time is a precious gift and a non-renewal resource.There is no doubt that in the modern era that we are all busier than in the past. At the same time, our lives have been made much easier by technology compared to our pioneering ancestors. Often times we think that we don’t have enough time to accomplish our highest goals and priorities. The Power of Full Engagement is a book that outlines the importance of energy management. As the authors state,“Energy not time, is the fundamental currency of high performance.” The thesis of the book by authors Jim Loehr and Tony Schwatz is that energy management and not time management is the key to success. The books discusses that full engagement is the effective use of your energy in the various aspects of your life. The authors ask readers to review how they are managing their schedules. In other words, is it really a time management issue or an energy management issue of why readers aren’t performing as effectively as they could be in their lives. The four key sources of energy according to the authors are: physical, emotional, mental and spiritual energy. Once you assess how you manage your energy, the book then outlines how to use the full engagement training system the authors devised to perform at a higher level. The book advocates things like eating the proper energy rich foods and the power of positive rituals to manage your energy effectively to become a star performer. Definitely worth considering adding to your bookshelf. John also is the founder of http://www.creativesmoothie.com/ which is a, “creativity coaching service that helps you boost your creativity and create impactful experiences.” On the site there are tips and techniques that can help you to increase your creativity level. As we are all in the era of the “personal brand” learning new and useful information is important.